A visually delightful hole. This long par 4 has a left to right dog leg so a thought out tee shot is needed. Try to cut off too much to the right and you could catch the bunkers or be blocked out by the trees that line the fairway. If you manage to avoid the bunkers either side of the fairway you are then faced with a long second shot to a well bunkered green. A sneaky little pond lies just to the right of the green, beware. 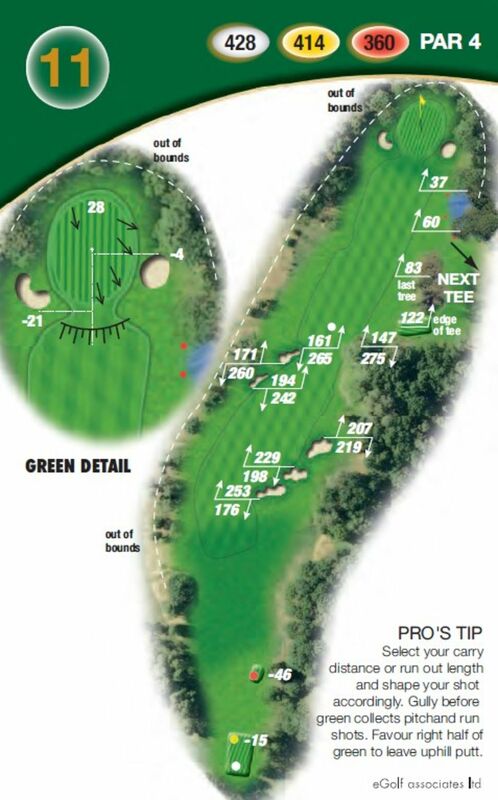 Select your carry distance and run out length and then shape your shot accordingly. There is a gully before the green which often collects pitch and run shots. Favour the right side of the green for an uphill putt.